A lot of my clients struggle when it comes to storing their purses. It's hard to make odd-shaped, floppy things fold, stand or file properly. And, don't mention labeling!! How does one go about labeling a purse? Or, where to put it back or find it when you want to use it? 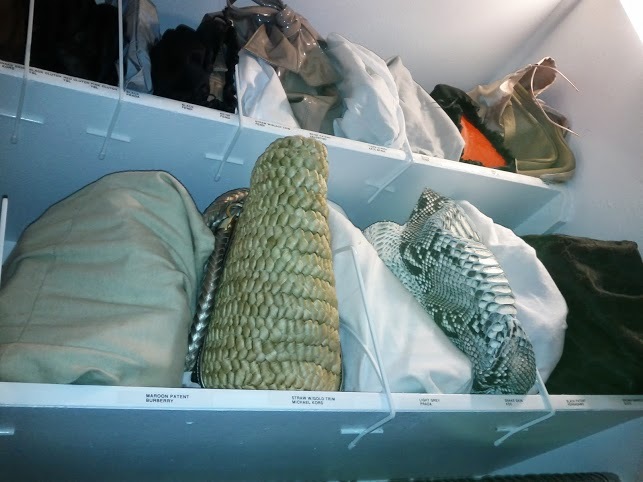 First thing's first: we bagged all the purses into their protective coverings. The bags that could easily stand on their own, were "filed" on the closet shelves. To help the softer bags stand tall, we implemented shelf dividers like these. The dividers also helped to prevent smaller bags from slipping underneath larger ones, only to be forgotten about. 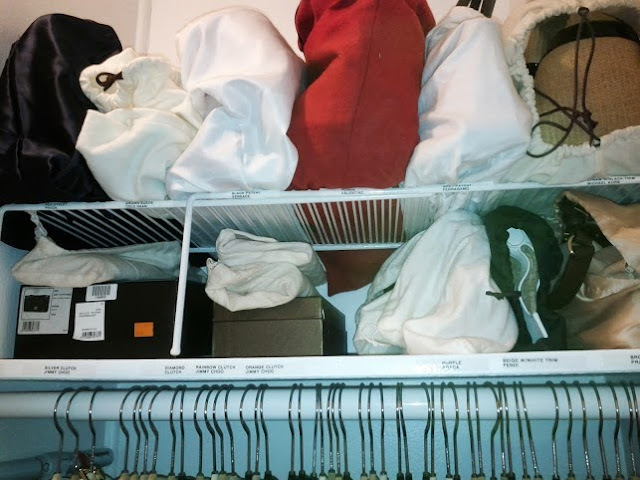 On one shelf, that had lots of height above it, we used a stackable shelf to make another row of purses above.